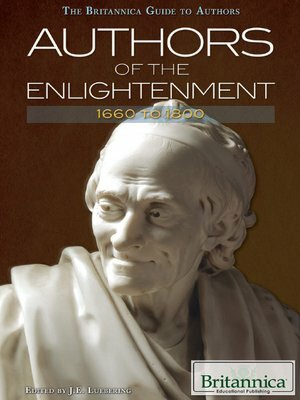 Reason, rationality, and reform were perhaps the biggest buzzwords of the Enlightenment era and the themes of much of the writing that appeared at that time. As thinkers increasingly began turning a critical eye towards accepted beliefs and practices, such luminaries as Voltaire, Benjamin Franklin, and Thomas Paine took up their pens to illuminate the social injustices and injuries to personal freedom that pervaded their societies. The fascinating lives of these writers and many others—running the gamut from novelists, dramatists, and poets to satirists, social critics, and more—are profiled within these pages.